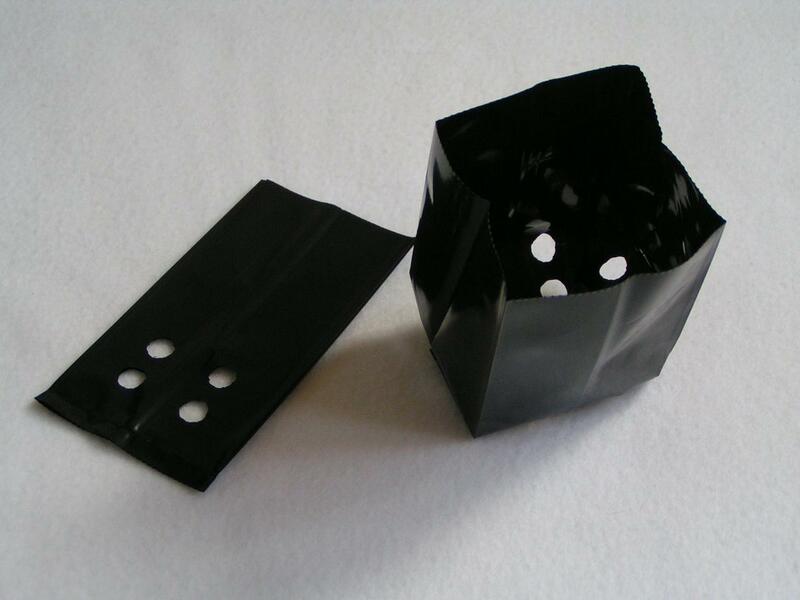 Black plastic polypots are a very cheap alternative to square or round plastic plant pots. 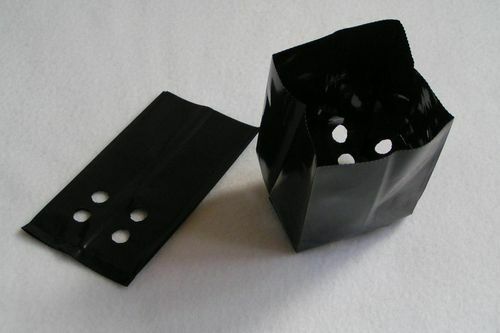 The pots are effectively made from black plastic tubing which is designed to sit flat when filled with soil due to the gusset. Each poly pot has several drainage holes in just the same way that traditional plastic pots have so your plants can grow and develop without their roots rotting. The polypots are easy to store when not in use - fold flat when empty. Gusset enables pot to sit flat when filled to give greater stability. Lightweight makes them a cheaper alternative to plastic plant pots. Very economical plant pots if planning to sell off excess seedlings at a plant sale. When filled diameter is 3"
Flat measurements are 2.5" x 5" x 5"
Available in a whole range of sizes from EdenSupplies.